Hello and welcome to Ayurveda Daily! 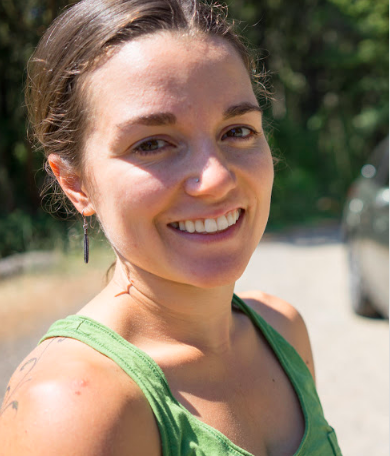 My name is Ellen – I am a native to the Pacific Northwest, passionate about the healing power of Ayurveda. On this site, you will find information about Ayurveda and ways to use Ayurvedic principles to heal illness, optimize health, and radiate well-being, all in a way that is customized for you and your unique constitution. Ayurveda is a system steeped in 5,000 years of knowledge and practice. It has helped countless people heal from disease, overcome severe health challenges, and become the healthiest versions of themselves. I strongly believe in the power of Ayurveda to promote health and allow you to thrive as the best and most radiant version of yourself. I hope that Ayurveda Daily can help you on your journey and provide some tools as you strive to realize your full potential. I also offer tips on herbs and supplements that can be used in conjunction with food and exercise strategies to help you further optimize your health.